EcoPure's basic undersink carbon filter helps deliver better-tasting drinking water right from your kitchen sink or refrigerator, reducing sediment and chlorine taste & odor down to 6 microns. This drop-in-style filter is perfect for homes with minimal water issues that simply want to remove the taste and smell of chlorine. 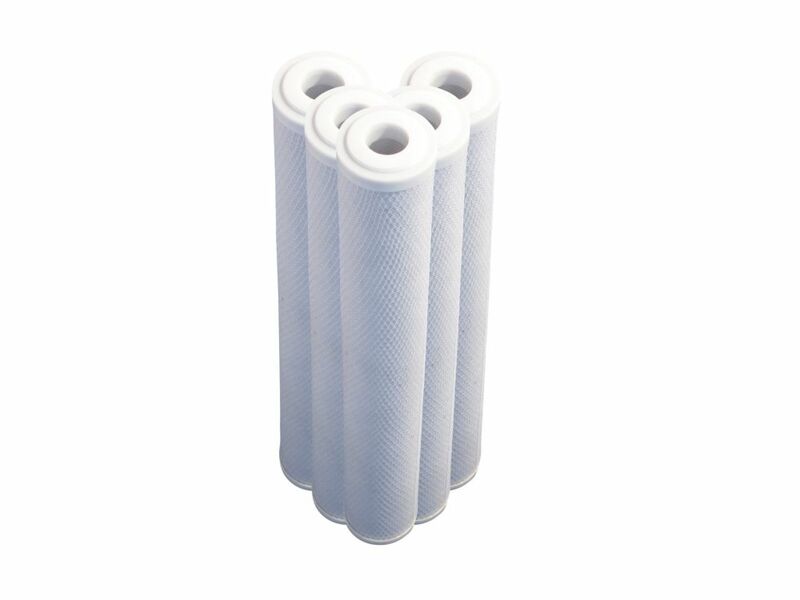 Made using a high-quality activated carbon block, the EPU2C filter features a highly adsorptive, positively-charged material that removes greater amounts of impurities from your water than you'd get with a sediment filter. Compatible with our EcoPure EPU3 system, this filter's universal design also fits all major brands of open-sump, undersink systems. For best filtration results, please replace your water filters every six months, as recommended. This filter Fits Watts model number WP2-LVC and all major brands of drop-in style systems. It reduces sediment and chlorine taste and odour for better tasting water at your kitchen sink. It has a .5 micron rating and lasts up to 6 months.